Guest Post by Ponn Sabra of Blogging Babes. This post is a part of a month-long blog tour. To read this post in-context, I recommend starting at the beginning–then hop along for the full journey. First, a warm thank you to Teresa for hosting me here today for my Blogger Babes blog tour which began here, because she was my accountability partner when I first became the managing partner of Blogger Babes and helped me undergo our huge rebranding phase. Whenever Teresa and I discuss how “her audience” (of authors) does not appreciate or gravitate to blogging well, I always remind her that I initially came online back in 2005 simply because I was an author eager to publicize my debut book in the most cost-effective and time-efficient way. I didn’t have a much of a publicity budget; I even had a tiny Book Publicity on a Shoestring Budget blog to journal all the tactics I learned as I found how to brand myself as an authority figure and make sure the message of my book was reaching my target market. Within my first month online, I learned that the blogging platform was cheaper, more customizable, and offered me an easy way to write about my book’s topics and reach my ideal reader. Even though I was on Blogger, I bought my domain name and started actively recruiting big name partners for my Amazon bestseller campaign. On the release date of my book, I became an Amazon self-help bestseller. Within that year, I became Entrepreneur magazine’s debut women’s networking columnist (networking being the premise of my book), and that was and still is my most lucrative year online. As the years passed, being a professional blogger and freelance writer in the business area became extremely time consuming and emotionally draining for a homeschooling mom of three young girls. Meeting deadlines, working on contracts, etc., was not conducive to the homeschooling lifestyle, so I ultimately transitioned to mom blogging and was quite successful for the next six years. With media contacts and SEO skills to help me rebrand, within my first month of launching my mommy blog I was interviewed by Associated Press and my new blog url was picked up by over 120 media outlets, such as Chicago Tribune, LA Times, Fox News, etc. I obviously wrote a number of kindle ebooks and infoproducts to my target audience throughout the years for passive income. So, just like the phases of one’s life, with three grown tween and teens, last year marked another time to reevaluate what kind of writing or blogging I’d do next. The long story short: a personal meeting turned into the most ideal partnership I’ve ever walked into to date: Blogger Babes. An organization with a mission: To help women bloggers transform their hobby of writing (even authors) into a profession that lets them live life on their terms. The #1 goal of bringing me on as a managing partner was to position Blogger Babes as an organization that offers education and support through our kindle book series, ebooks, bootcamps, webinars, free and premium membership, an active blog, etc. But primarily I was brought on because Heidi and I are first and foremost authors. I’ve always believed I’m an author first, and blogging is simply the platform which I chose for my author’s online presence. I strategically worked with Teresa, our business coach Kelly McCausey, and a book coach Kristen Eckstein to make sure the Blogger Babes blog/website showcased the wealth of educational materials we offer as authors. Over the past eight months, we developed a Learning Library that no other blogger network has available on the web. Heidi and I worked so tirelessly on branding ourselves as Blog Education Experts that when we launched our first Blogger Building Blocks last Friday, we had over two-dozen Joint Venture Partners (many blogger networks and organizations) with the vast majority of them actually naming us their official Blog Education Experts. 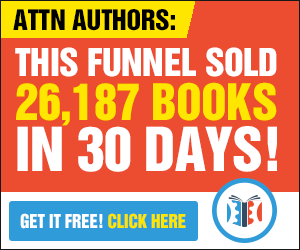 Instead of reinventing the wheel and creating all these ebooks and educational materials themselves, they can partner with us for an affiliate profit-sharing at 50% lifetime recurring commissions. So, How Can Blogger Babes Help You As an Author, You Ask? Our Blogger Building Blocks are designed to help female bloggers (primarily in the fashion, beauty, and lifestyle niches) increase their blog readership (help you reach your target market –your ideal book’s audience), social media following (more of your ideal readers), and ultimately your income (sales!). Heidi and I are both female bloggers that learned through years of trial and error. We also learned from many internet marketing males dominant in the field. However, we learned that many female bloggers resonate with our tone, voice, and experiences, so we wrote all our books and materials with this void to fill. Fashion and beauty are Heidi’s niche and collectively “lifestyle blogging” is my niche. Lifestyle means the way you chose to live your life, so while our top lifestyle bloggers fall into the food, travel, DIY, and parenting niches, we have female business bloggers finding benefit from our books as well. However, we write from our experiences, as they serve as case studies to our target market. 1. Develop a habitual blog editorial calendar. Whether you’re writing fiction or non-fiction, my best recommendation is to develop a blogging editorial calendar that suits your lifestyle. Whether it’s 7-days a week or once or twice, do not blog haphazardly. I also recommend that you blog on specifically scheduled days. It helps you develop a steady blogging habit and trains your readers to expect blog posts in a regular, consistent, and dependable manner. One blog post every Wednesday is much better than blogging two days in a row, which is much better than being silent for two-weeks and returning one random day on the last day of the month. 2. Blog in your own personable voice as an author. When I was a columnist for Entrepreneur magazine, I was able to resonate deeply with my audience on both media (my personal blog and their website) because I was able to write highly-detailed, current AP-style treaties in my column, but I was relaxed, personable and enjoyable to read as Ponn the person on my blog. I was approachable and seen as “fun” rather than “stuffy.” I developed relationships because my audience was able to relate to me in a more relaxed setting but still gain critical information on my column. The writing for the column was the same highly-professional, nearly-perfectly-edited professional writing in my books. Make your blog a place to let go of certain syntaxes, grammar rules (no excuses for poor spelling)–use it as a place where you can show your personality with Yay!s, Okay!s, and even emoticons to express your grins ;-/ and frowns 🙁 Don’t feel like putting a period-full-stop before your emoticons, be. my. guest… this is your blog… So enjoy it! 3. The ideal blog post word count is 350 – 500 words. Having been a freelance journalist/writer for two-decades and an author for one-decade, I can punch out this many words in less than 10 minutes. So don’t use blogging as an excuse that’ll take time away from your book writing… authors always have too many excess words at our fingertips. I definitely have many more words cut out by my editors than I’m told to add for explanations or understanding. Often times, my “excess words” makes up a blog post ready to be published. Ready to Build Your Blog Right Now? Click here to Join for the Limited-Time Only Early Bird special release of Blogger Building Blocks at $5 per month! (Regular price $9/month). This special ends Wednesday, May 6th. Once May 7th hits, we’ll never release this nearly half-off sale again. So come secure your lifetime rate at a small $5 per month. Blogger Building Blocks is a comprehensive series of Blogger Monthly Tutorials. Each tutorial eKit comes with a tutorial, 21 tips sheet, worksheets, checklist, all our recommended tools, and much more! For the price of your last unfinished premium coffee or tea, you can should invest in yourself and your blog. Ponn Sabra is a best-selling author and homeschooling mom of three tween and teen daughters (also bestselling authors and probloggers) [https://PonnSabra.com]. The Managing Partner of Blogger Babes, Ponn loves being an author, and blogging helps her sell more books. Why wouldn’t every author have a blog, she wonders? Please share your views below. How Can One Word Have Almost Opposite Meanings?